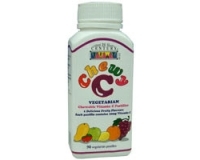 Chewy C is a fun way for kids to get their daily Vitamin C dose. With 6 delicious Fruity flavours in different shapes and colours to choose from: Orange, Strawberry, Apple, Lemon, Mango and Grape. Vitamin C is known to help strengthen the immune defences and ward off colds, flu, sniffles and coughs. However, getting kids to take Vitamin C supplements daily may not be easy especially when some of these supplements may be too sour. Now, with Chewy C, you can be sure that your kids will remember to take their Vitamin C daily. Vegetarian Chewable Vitamin C pastilles. Chewy C is made using vegetable gelatin. Vegetarian Formula. Bovine Free. 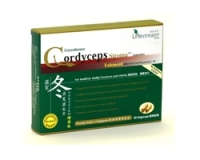 Take two to six pastilles daily at any time, before or after food. Contains: Glucose, Sugar, Water, Dextrose, Vitamin C, Critic Acid, Permitted Fruit Flavours, Natural Colours.